The FreedomFest exhibit hall offers the most diverse group of exhibitors you can imagine. It is the place to meet and mingle with our speakers, other exhibitors, and attendees, many of whom are accredited investors. It’s considered “the trade show for liberty” and features exhibitors from freedom think tank organizations, investment and financial institutions, and healthy living experts. Media Row also sets up camp in the Exhibit Hall to round out your FreedomFest experience. It is the primary location for cocktail receptions, coffee breaks, round table discussions, the official FreedomFest bookstore, and book signings. The Exhibit Hall is truly the heart of FreedomFest! 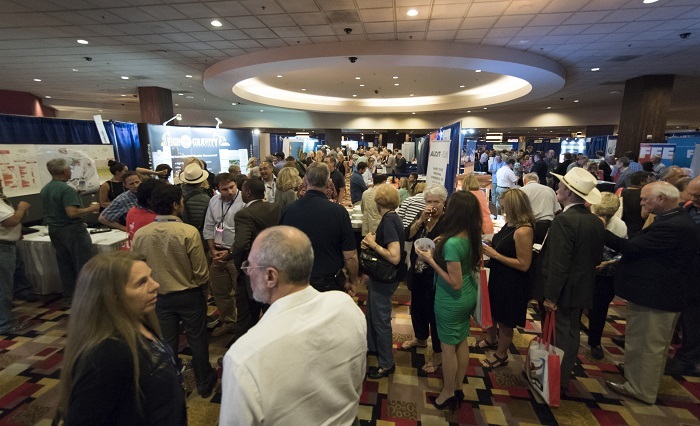 If you are interested in participating in the FreedomFest Exhibit Hall contact Conference Director Valerie Durham for complete details by calling toll free 855-850-FREE (3733) ext 101 or emailing info@freedomfest.com. What do liberty-minded think tanks, alternative investments, and your business have in common? They’ll all be in the FreedomFest Exhibit Hall! Our goal is to bring together thousands of the “best and the brightest” free minds from around the world to discuss and debate, strategize and socialize, and celebrate liberty. Our Exhibit Hall is the center of activity throughout the three day event. Attendees are sure to stop by your booth. We invite you to join with us and are pleased to present several different levels of sponsorship opportunities. Don’t miss the opportunity to represent your organization or business at FreedomFest! Our deadline for sponsorship signups is no later than May 1, 2018. Sponsorship prices will increase after June 1, and we expect to sell out again this year. So don’t delay – secure your spot at FreedomFest 2018. Contact our Conference Director Valerie Durham for more information by calling 855-850-FREE (3733) ext 101 or emailing info@freedomfest.com.